When I saw cute baby clothes online it brings back memories of my shopping experience for my first baby. I was so excited that I started collecting baby stuff as soon as I discovered that I’m pregnant. I thought that shopping early gives me ample time to look for inexpensive and quality baby items. I shop for a few pieces every pay day so it won’t hurt my budget. I bought baby clothes (mostly whites), sweater and bonnet, mittens and socks, wrapping blanket, bedding and sheets; diaper stuff, baby essentials like soft washcloth, disposable wipes, rash cream, and hypoallergenic soap, lotion, etc. Even if I have plan to breastfeed, I still bought feeding bottles, big and small ones. I added a few items with shades of pink and yellow when I learned about the baby’s gender through ultrasound. Bigger items like crib and crib mattress pad were bought towards the end of my pregnancy. We don’t have a big room to accommodate the crib so we decided to purchase it less than one month before my expected delivery. I used the same items (except for the pink clothes) when I got pregnant the second time. I only add some items with shades of blue for our baby boy. I remember checking for Red Sox baby clothes particularly the cute onesies for the little boy. If you are expecting a child, its best to keep a list of baby items that you need. You may include a couple of new wardrobe for you. Don’t forget to include a pair of nursing brassieres in your list. It’s best to prepare early when your tummy is not yet big than cram when you can no longer move or go about because of your big tummy. You may also check for local and branded baby products online for convenient shopping. 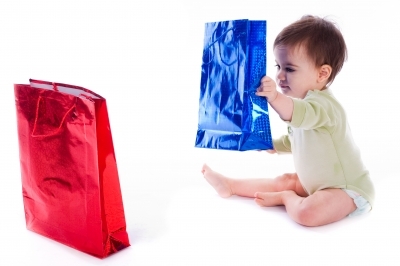 This entry was posted in Baby Clothes, Fashion tips, Shopping, Shopping tips and tagged buying stuff for babies, shopping tips in buying baby clothes, tips on buying baby clothes on November 18, 2015 by Mommy Yam. It is really hard to find proper things for growing baby. Sometimes I really feel hard and confused because between 3 months we have to buy new things for the baby so it is really tough. Well, thanks for sharing this, but if possible then please help and give some more tips if possible.